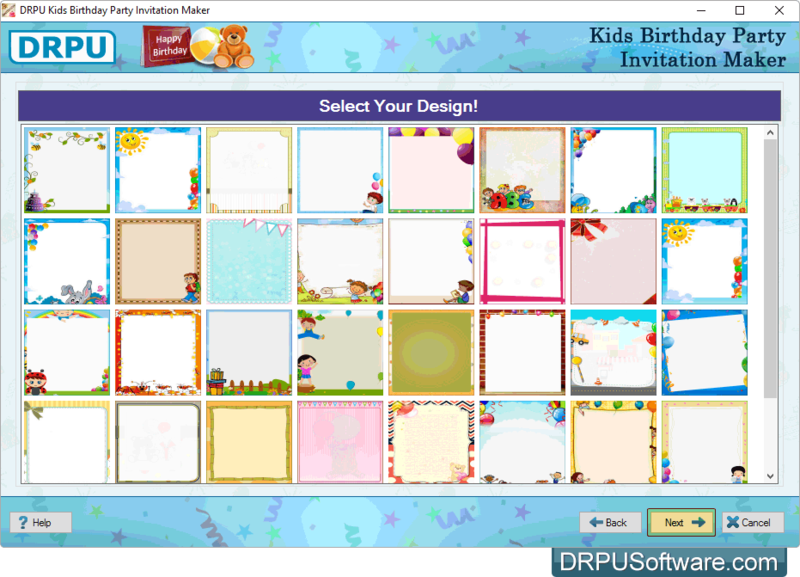 Create kids birthday party invitation cards for free using Freeware Kids Birthday Party Invitation Card Maker Application. › There is so much excitement while planning a birthday party. Create personalized birthday invitation cards that adds glamour and fun to your kids birthday party planning. 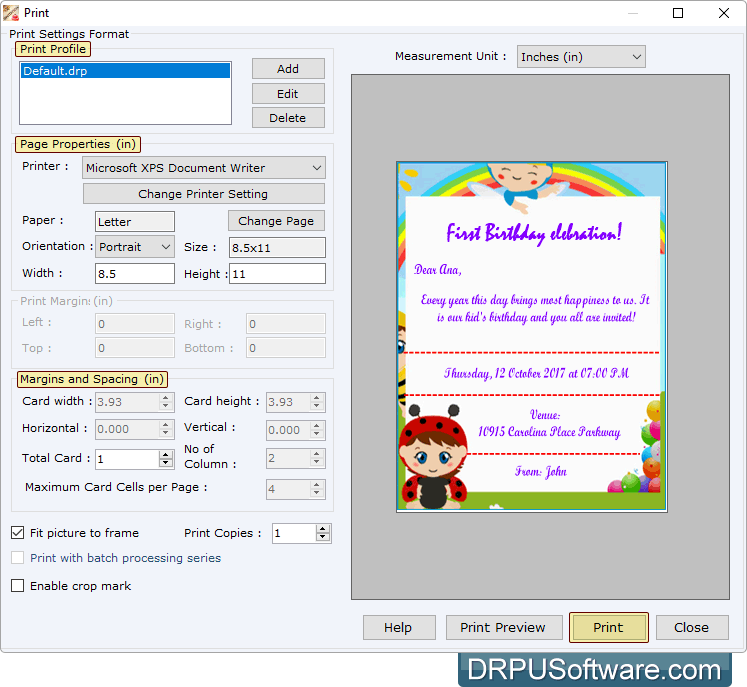 › Freeware App provides batch processing series feature to generate multiple copies of invitation cards for kids birthday party with different images and text values. ➔ "All in One Party Invitation Card Maker" to design Free Invitation Cards for any Other Party or Occasion. Freeware Application has advanced feature to create invitation cards in different shapes such as rectangle, rounded rectangle and ellipse. 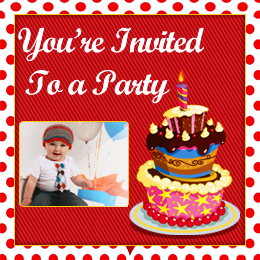 You can add image on invitation card as well as crop image according to your requirement using Image Cropping Tool. Easily print designed invitation cards for kids birthday party using flexible print settings of application. 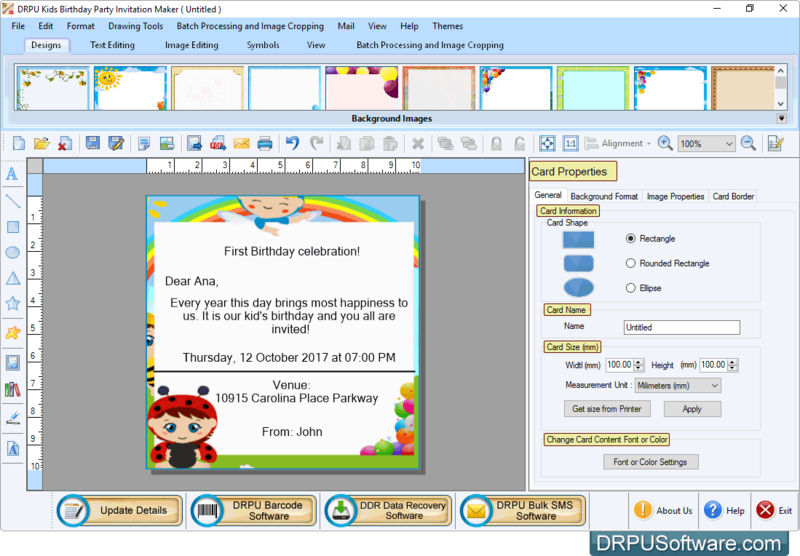 Program has option to export or save designed kids b'day party invitation card images in different file formats such as JPEG, Bitmap, PNG, TIFF, GIF and PDF. 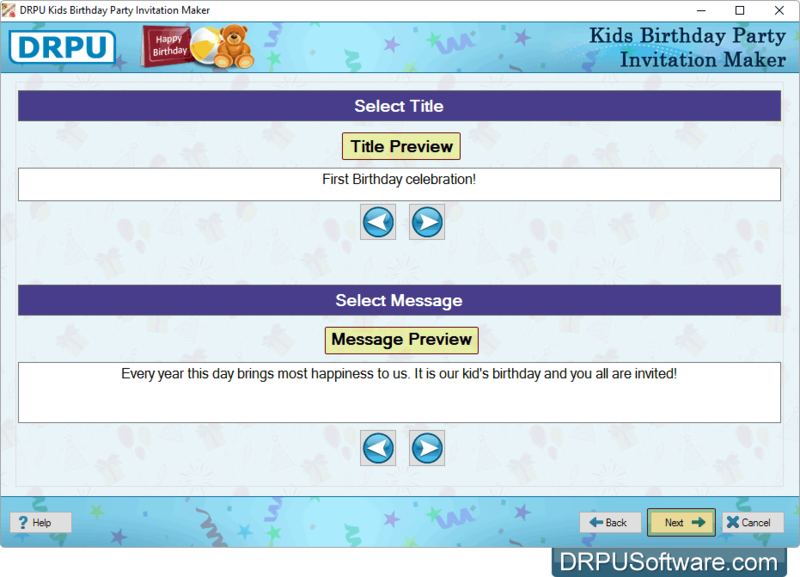 You can send designed bday invitation cards at specified email IDs using email settings available in program. For designing Kids Birthday Party Invitaion Card, choose any one option from 'Start by using Wizard' or 'Open with existing Design Log'. Application provides various card design to create birthday invitation cards. Choose any one design and click 'Next' button to continue. 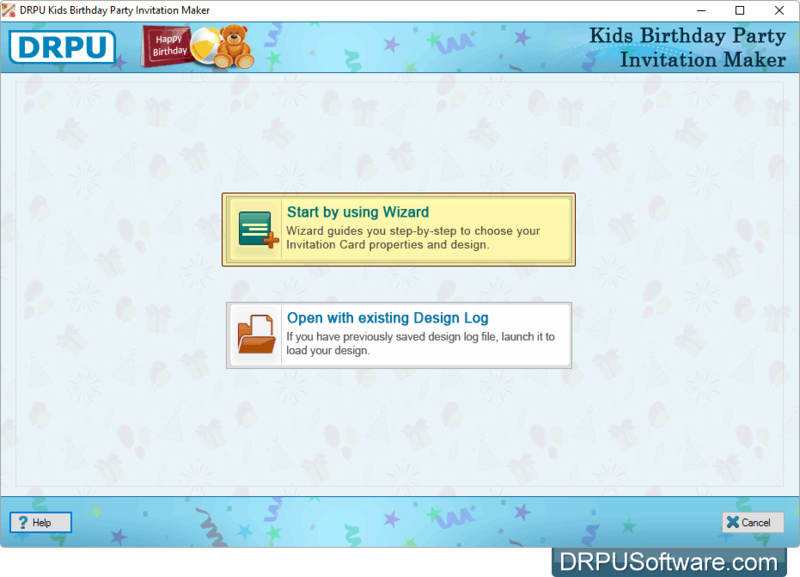 Software has various kids birthday invitation titles and messages. Select title, message and Click on 'Next' button. Enter kids birthday invitation cards details such as venue, date, time etc. and go to next screen. Now you can see your designed bday invitation card. You can do further modification in card. 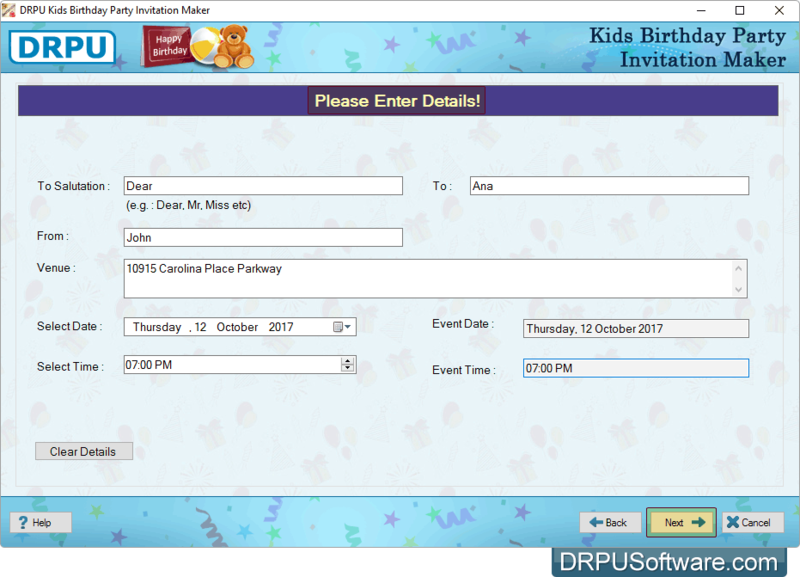 To print designed Kids Birthday Invitation Card, go to print option then adjust Page Properties and Margins and Spacing. Click on Print button to print designed card.